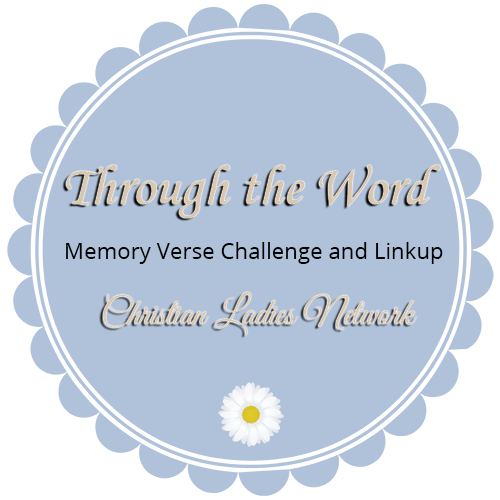 I joined in the Bible memory verse challenge Through the Word with the Christian Ladies Network this month. Of all the verses in the Bible that could have been chosen, Psalm 27:1 is one that sits very close to my heart. A verse I memorized several years ago and I still cling to in those moments of fear and concern. With Jesus, whom shall I fear? I’m not one to run to others sharing things in my life. I’m a quiet person who tries to deal with things without the world watching and whispering. For me, this works. While there are others who I could talk to about a matter, there is only One I can completely trust with it. He knows exactly what I’m going through and how I feel about it. He is the One in control of the world. He is the One in control of my life and the things that enter and leave it. He is the One who can give complete peace when I fear. In the past, I shared How Can I Fear With Jesus. Anytime I begin to feel a sense of fear, I have to remember I have Jesus with me. He is in total control of every situation I face, good or bad. Just remembering He is there doesn’t always help, but having the FAITH He is there is something that helps me when times get dark. Keeping our faith in Jesus plays a big part in battling fearful things. Growing a deeper, stronger faith in Him builds that wall of security we can feel because of who Jesus is and what He can do in our lives. With Jesus in our lives, whom shall we fear? You can learn more about Through The Word at the Christian Ladies Network.